Always breaking your phone? Or don’t want to break your new phone? Protect your phone now with this awesome protective case for the iPhone 7 range! This rigid but ultra-thin designed case is easy to put on and take off, and protects your phone from damage if it is dropped and prevents scratching. 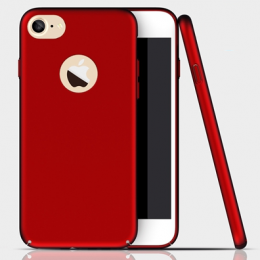 The matte finish also means your case will never look dirty from finger prints! CHOOSE YOUR COLOR & PHONE, THEN HIT ADD TO CART!